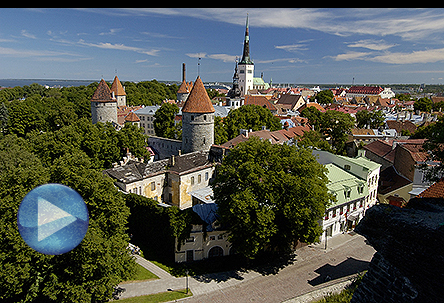 Toompea, the old town, is a thicket of turrets, spires, and onion domes that overlooks the rest of Tallinn and the Gulf of Finland. Legend says the limestone outcrop is the burial mound of the Estonian king Kalev, while geology claims the area first emerged from the surrounding land about 10,000 years ago. No matter. From its start as a trade link between Russia and Scandinavia and rise as a member of the Hanseatic League trade alliance, the city today has been ranked as one of the top 10 digital cities in the world. That should make it easy to send pictures home of the local sights — and not just Toompea. See All-linn (the lower town) on your cruise. It’s brilliantly preserved.